Are you looking to finance a big ticket purchase, such as a new car or home computer? Or, do you have unexpected expenses to cover? When you need extra funds, we’re making it more convenient to apply for a consumer loan. At First Mid, any of our customer service representatives can help you with the loan process. You do not need to make an appointment, just stop by your nearest First Mid banking location and ask to apply for a loan. First Mid is also making it easy for you to apply for a loan with a simple online application. After completing the online application, we will review your information and contact you. 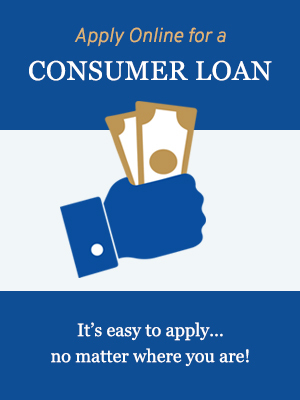 If you have any questions about your loan application, please contact our Consumer Loan Department. Privacy Notice Please read our notice regarding the safe-keeping of your personal information. You have certain rights under federal law related to resolving errors in the servicing of your mortgage loan. You may also request information about your mortgage loan and submit Qualified Written Requests (QWR). Learn more.